Private banking sector is on boon in India. There are a lot of private banks offering their services to the general public. Kotak Mahindra Bank is the fourth largest private bank operating in India. Some of the services they offer to their customers are ATM, savings accounts, current accounts, salary accounts, fixed deposits, demand drafts, life insurance, general insurance and much more. One of the most used services is always ATM. It allows the holder to withdraw money, check account balance, get balance statement, and much more directly via the ATM machine. To use ATM machine, the consumer must possess card which is known as Debit card. This debit card, in addition to ATM, can also be used for online purchases and for payments at shops. 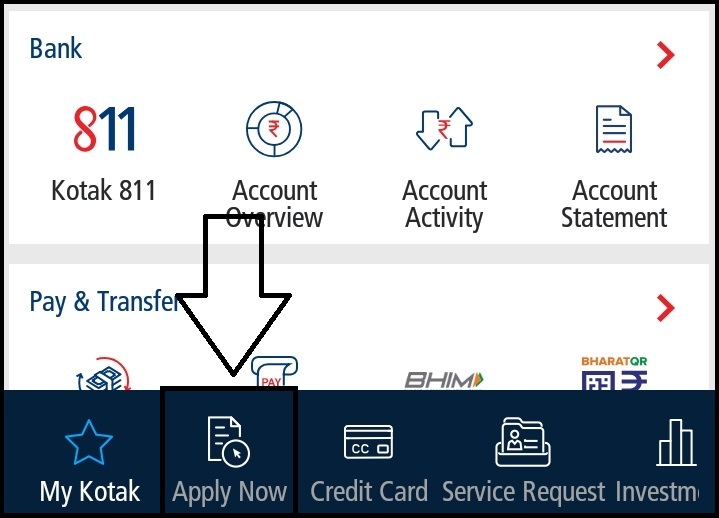 Here in this article, we are going to tell you about the process of how to apply for a Kotak Mahindra Debit card via net banking. You must have your login details ready with you before attempting this guide. We are providing you all the steps along with necessary screenshots for your convenience. A few more things you need to remember are that you need to have access to your registered mobile number or your email id to have your dynamic access code which you will receive when logging in. A debit card is usually not free and most of the banks charge around rupees 150 + taxes per annum for debit card. However, this usually depends upon the type of card you are applying for. Open the official website of Kotak Mahindra net banking i.e www.kotak.com/j1001mp/netapp/MainPage.jsp. Login using your details like CRN/Account number or nickname from here. Now enter the dynamic access code received on your mobile number and email id here and click on secure login. Once on the home page, click on the Debit Card option from the top header. From the left side menu, click on apply for a new card option. You are then presented with a page telling you about the benefits of Kotak Mahindra debit card. Click on Select & customize this card option. 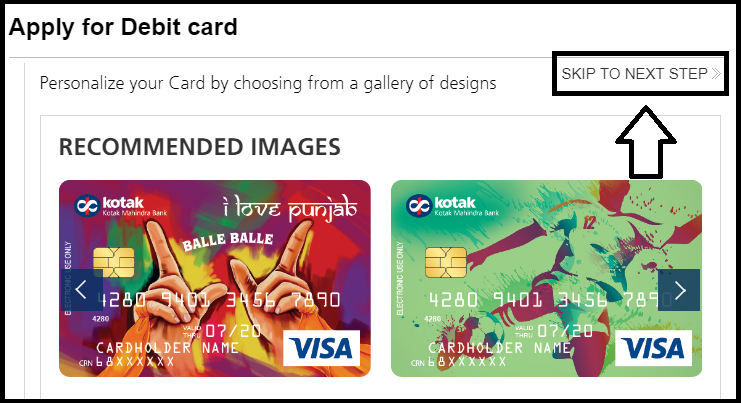 Choose from the images for your debit card if you want any otherwise click on Skip to next step option. Choosing one of these images will incur an additional one-time fee of rupees 200 which you will have to pay in advance while applying for the card. 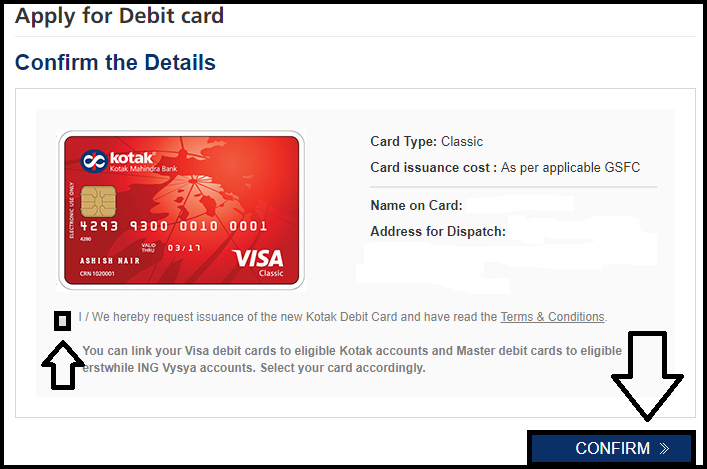 Click on “I hereby request the issuance of the new debit card” option and then click on confirm button. If the address being shown is the address you want to receive the card then its ok otherwise you can change it from your profile settings. You will get an email and a message on your registered email address and registered mobile phone number regarding the issuance of your new Kotak Mahindra debit card. Open the official Kotak Mahindra bank mobile app. 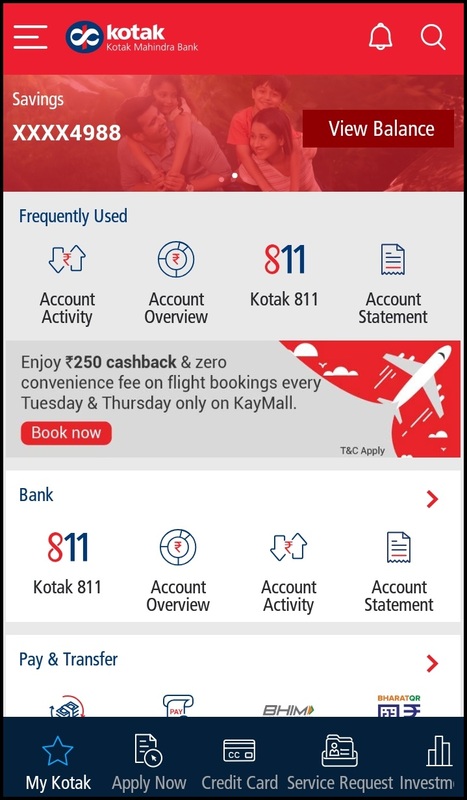 Kotak Mahindra mobile app is available for both iOS and Android platforms. Click on apply now option from lower bar. 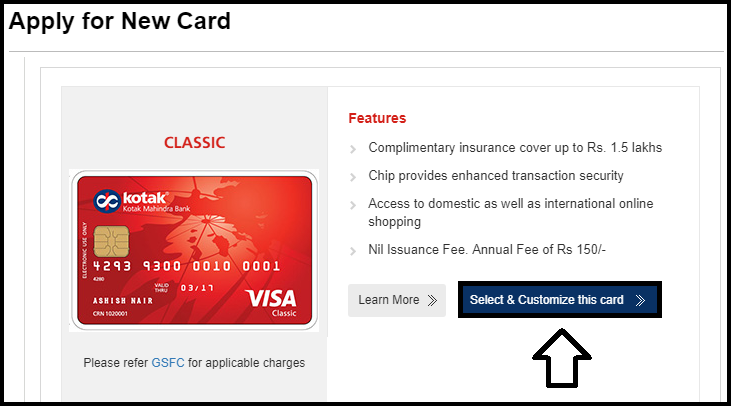 Select the debit card option as shown in screenshot. Using this option, you can also apply for credit card, home loan, car loan, gold loan and much more. Select the card you would like to have. The bank will send a confirmation email regarding the application of your ATM card to your registered email address and phone number. 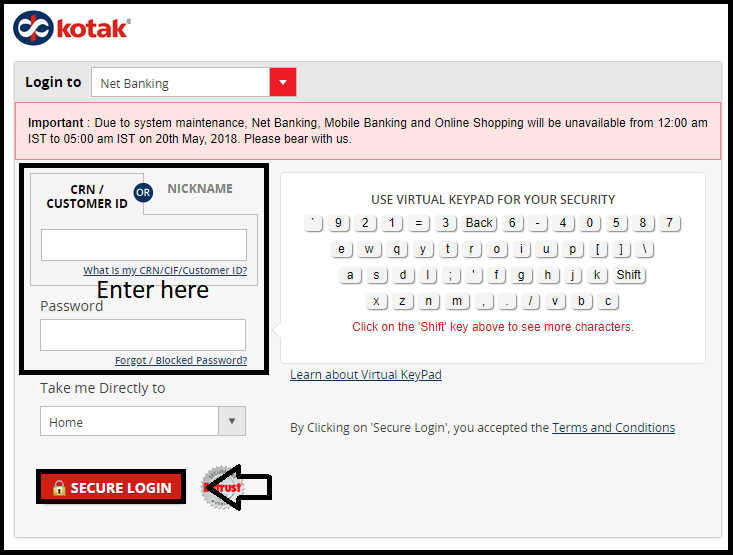 These are the simple steps you need to follow in order to apply for a Kotak Mahindra debit card via net banking. 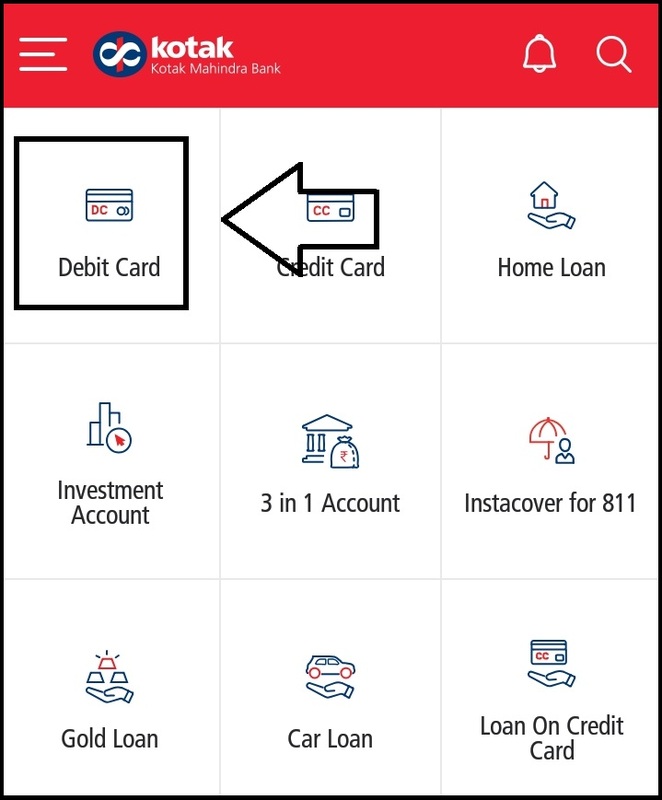 If you have lost your card and want to block debit card immediately, then you can follow these simple steps to Block Kotak Mahindra Bank debit card. If you are still facing any difficulties or have any queries then do mention them in the comments section below. We will try our best to help you. For any further queries, call their customer service department at Kotak Mahindra Bank customer care phone number. How to open a McDonald’s franchise in India?